Foods For Hair Growth - The Most Amazing Ways To Make Hair Beautiful! Foods That Promote Healthy Hair Growth! A lot of women just like me think that gorgeous hair is just the result of branded shampoos, high impact conditioners, the magical tendencies of hairstylists to transform your hair and the evolving hairstyling products! However, the secret for gorgeous and healthy hair is actually none of these! In this article, we bring to you foods for hair growth. 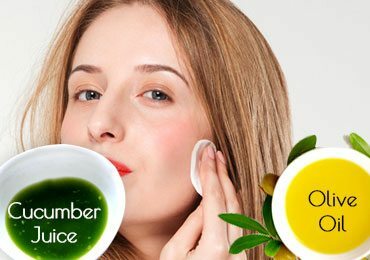 Why is it important to improve diet when I ‘m already using the best hair care products? How are the nutritional food items helpful for hair growth? Important nutrients for healthy hair. Healthy foods for hair growth. This is a very common question which would hit your minds. Also, it is quite hectic to manage special diet for hair in this busy world! Rarely are you able to take some time out for your health and fitness and as an addition, diet for your hair is simply going to be unmanageable! 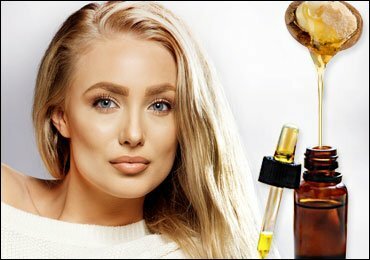 In such cases, why go through the trouble to improve hair texture and quality through diet though we have some immensely awesome hair products? We all know that hair grows from the scalp and scalp nourishment is the best way to boost hair quality. The best way to nourish your scalp is to drink and eat healthy food! Whatever you eat, the nutrients from that food are supplied to various tissues and cells of your body. If you want your hair to get nourished from the roots to tips, consume such nutritional foods and let the nutrients get absorbed in your scalp! Your hair needs protein, vitamins, calcium, iron and such other nutrients for growth and strength. This natural form of nutrients is obtained just from the foods that we consume. Thus, it is always better to feed the hair and scalp from the roots rather than cleansing them with the nourishing products as whatever gets absorbed in the scalp works well on the hair! There’s a beautiful story behind the relation of hair and consumption of foods for hair growth which would help you understand the importance in a better way. Our body is filled with lots of cells and the growth of the body is due to the existence of cells! The hair thus also comprises of a lot of cells which promote hair growth and strength. But, the hair cells are the 2nd fastest and rapidly growing cells of your body. Also, every person has uncountable hairs which need support and nourishment to stay healthy. To support all the hair and to nourish the fastest growing cells in your body, a lot of nutrients are needed at a time which is supplied by the foods we consume! If your body does not get enough nutrients, the hair cells are the one which get affected vastly! Even it is found that hair loss and thinning is due to deficiency of minerals and nutrients! Shampoos and conditioners can cleanse your scalp and provide little nourishment while foods you consume would completely affect your scalp and nourish it! Your scalp and hair cells require proteins, vitamins, calcium, iron and such balanced set of nutrients from foods for growth and to remain healthy! Thus, nutrients are the pillars for hair growth and gorgeous hair! A rich diet with fine nutrients and minerals would make your hair grow quickly! The first and most important nutrient for your hair is protein. We all know protein as a muscle and metabolism booster as it has amazing impacts on the intestinal cells! But it also has amazing benefit for the hair cells. Hair cells are nourished by protein and would fight brittleness and hair fall issue. Iron rich blood when reached the scalp, it can make the hair stronger from roots and conditioned! For boosting hair growth and feeding the hair cells with rich blood, consume iron rich foods! Generally, biotin deficiency can cause brittle, rough and damaged hair. It is a water soluble vitamin which nourishes the scalp and is obtained from different foods you consume on daily basis! Vitamin E is an awesome nutrient which can protect your hair from damage and make them look healthy as never before! Issues like dry scalp, hair loss thinning of hair etc can be battled with these amazing nutrients as it gets absorbed in the cells and nourishes your scalp quickly! Omega 3 fatty acids are amazing for hair cells. The fatty acids are obtained from different foods. These are important to keep your scalp hydrated and nourished. It is important to maintain the scalp oil which is managed by these nutrients. Without these oils, the scalp would become dehydrated and rough. Thus, these fatty acids keep your scalp completely nourished! Our scalp also needs some antioxidants which can nourish the hair and make them look flawless! Vitamin C is a nutrient which can help your scalp absorb all the other nutrients like iron. Vitamin C is thus better to consume for letting all the other nutrients get absorbed in the cells. Vitamin A provides the essential element for your hair which is known as sebum. If you always wonder how your hair can naturally maintain the nourishment and balance oiliness, it is due to sebum. For a healthy scalp, this nutrient is extremely important which provides the required oiliness and nourishment to the scalp! If your mom daily forces you to drink a glass of milk, go on and grab it! The calcium in milk and such foods would nourish your scalp while making your hair strong from the scalp. Calcium prevents hair fall and makes the hair beautifully thick! Also, you must consume vitamin D which helps in absorption of calcium from the cells! Thus, enrich and strengthen your hair with this amazing nutrient! Magnesium and zinc are the essential minerals which you can consume to make your hair voluminous and to reduce hair loss! Zinc helps the cells to grow and can regenerate your hair follicles and reproduce your hair! Spilt ends, thin hair, hair loss, and various such hair issues can make your hair look undesirable! Thus, consume these minerals which can provide you hair some nourishment! Now that we know all the essential nutrients which can make your hair gorgeous, let’s find out the foods for hair growth which are loaded with nutrients and can make your hair even more gorgeous! Here are the super foods for hair growth and improve hair health quickly! This is the king of green and leafy vegetables which would make your hair super strong and hydrated. Spinach is filled with iron, beta-carotene, vitamins, folate and magnesium which are required by your scalp. This is a perfect merge of the nutrients required by your hair which would promote hair growth and prevent extreme hair loss! Consume one cup spinach juice or eat it raw to extract all the nutritional benefits from this rich food! Cinnamon helps in improving blood circulation which would make all the nutrients reach your scalp and get your hair strong easily! Thus, provide some oxygen and nutrients to your scalp with this amazing food and enhance hair growth! 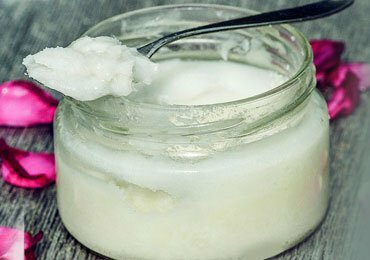 If you want fuller, thicker and strong hair, this is the ingredient which you must consume! Also, this food provides shine and nourishment to your hair. Sebum, which is an important element for hair growth, shine and nourishment, is absorbed from sweet potatoes and thus, you can include this food in your diet. To produce scalp oil and to prevent your hair follicles from drying out, you must consume sweet potatoes and fill your scalp with nourishment! The avocado oil, raw avocados, avocado paste are different forms in which, we can consume avocadoes. Vitamins, protein, amino acids, iron, magnesium, copper are the nutrients which would condition your scalp and fill it with nourishment! You must consume avocados to make our hair thick and voluminous. These ingredients make your hair cells filled with nutrients which can fight hair damage effectively! Thus, consume more avocados to strengthen your hair and boost hair growth in just few days! Oatmeal is one of the amazing foods for hair growth and fill your scalp with amazing nutrients. This is a power-packed food which is loaded with all the minerals your hair require. Oatmeal consists of zinc, iron, vitamins, protein, fiber, magnesium and such rich nutrients which can work miracles on our scalp! Grab one small bowl oatmeal with various foods and make your scalp filled with rich nutrients! If you love oysters, here is an amazing reason to consume more of them! 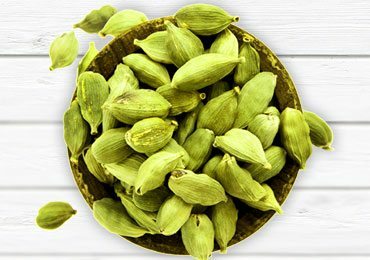 This is considered as a beauty foods for hair growth which can nourish your scalp and fill it with extraordinary minerals. Iron and zinc are the prime ingredients which can make your scalp hydrated and your hair smooth as never before! Protein is also filled in oysters which would help hair to grow and get voluminous. It helps the hair cells to grow and to turn your lifeless, thin and damaged hair gorgeous! Consumption of Indian gooseberries would nourish your hair, improve blood flow, let oxygen reach your scalp and keep it hydrated! Probiotics are super foods which can enrich the hair quality while improving blood circulation and keeping the scalp conditioned! Yogurt is filled with vitamin b5 which promotes hair growth and strengthens the roots. The pathogenic acid is awesome which can nourish your scalp and boost hair growth! For flawless locks and desirable length, go for consume Greek yogurt or yogurt while making your hair flawless! The refreshing and antioxidant rich fruits are awesome! The splash of freshness and taste which strawberries have is simply incredible and so are the hair benefits of this amazing fruit! It consists of a lot of fibers, anti oxidants, vitamin C, flavonoids which can nourish your scalp and keep it nourished thus, consume these nourishing fruit and make your scalp hydrated! We use almonds in various forms for health and hair benefits. Almond oil, soaked almonds, roasted almonds and other variations of almond is included in our diet routine! Almonds are filled with nutrients and allow blood circulation. The nutrients would reach and feel your hair cells along with oxygen and thus promote hair growth! It consists of calcium, vitamins, protein and such different nutrients which can nourish your scalp and thus, consume almonds to enrich your hair texture! Salmon is one of the amazing foods for hair growth which can nourish your scalp and add glorious shine! Salmon consists of omega 3 fatty acids which are important to keep your scalp moist. A healthy scalp is hydrated and is filled with the essential scalp oil due to omega 3 fatty acids which salmon has! The omega 3 fatty acid is not produced in the scalp and is simply obtained from foods we eat and thus, salmon can help in keeping your scalp healthy! This oil would keep your hair healthy by promoting hair growth, adding shine and moisture to your scalp! Thus, consume salmon and nourish your scalp with fatty acids! Eggs are rich and studded with numerous nutrients which are specifically awesome for hair growth. The main nutrients like iron, protein, calcium and vitamin B are found in this essential food. Eggs can promote hair growth; fight hair thinning and hair loss issues while nourishing your scalp. Lack of these nutrients can lead to hair loss. Also, it consists of biotin which can promote hair growth and strength your hair from roots! The delicious milk, amazing tofu, mouth watering cheese and such interesting foods for hair growth are perfect for you! Dairy products are filled with calcium and vitamin D.
Vitamin D helps in absorbing various nutrients while calcium makes the hair strong. Also, it provides the oils and fats which keep your hair smooth, nourished and hydrated! Different lentils help in preventing hair fall and keep your hair thick! The nutrients in lentils make the hair strong from the roots and voluminous! Also, if you are suffering from issues like dry scalp, flakiness, under conditioned hair etc, you can consume more lentils and make your hair look flawless! We all love munching on the delicious nuts which have numerous benefits over hair, skin and health! The nuts are enriched with some hair strengthening elements which would make your hair look adorable! Cashew nuts, walnuts, hazel nuts etc are nourishing ingredients which are loaded with omega 3 fatty acids. These acids keep your scalp moist, conditioned and hydrated! Vitamin E in these nuts can make your hair thick, fight brittleness and would keep your hair glorious! These delicious food are filled with rich nutrients which can stimulate hair growth while battling different hair issues! You can consume them in different forms and make your hair more glorious! Prepare a diet smoothie or snack daily which focuses on hair enrichment and consists of all the nutrients which can make your hair smooth, shiny, strong and glorious! Eat these foods for hair growth and let your hair shine! 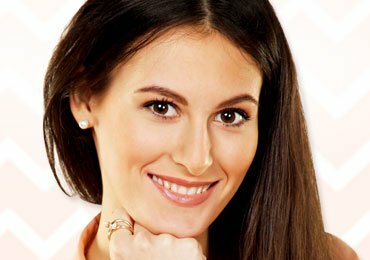 Top Best Ways of Removing Make Up! 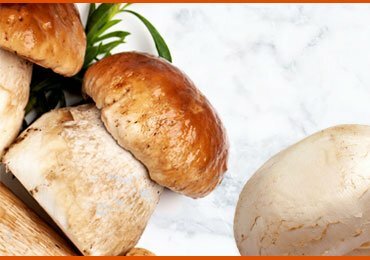 Mushrooms – Why Should You Start Including Them In Your Diet! Home Remedies To Reduce Swelling Out of Injuries! 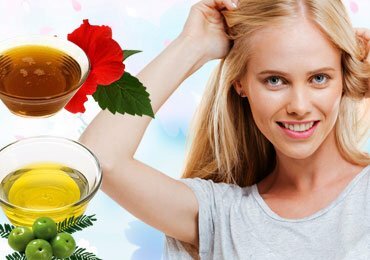 Stop Hair Loss With These Homemade Hair Oils! 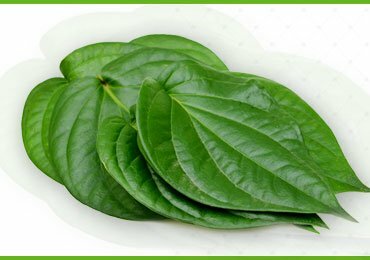 Chewing Betel Leaves – How It Is Beneficial For Your Health? 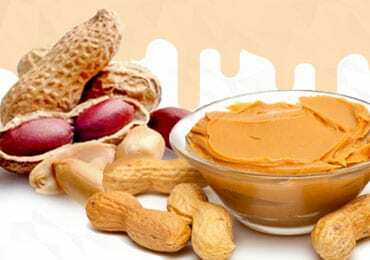 Peanut Butter Nutrition Facts and its Amazing Benefits!